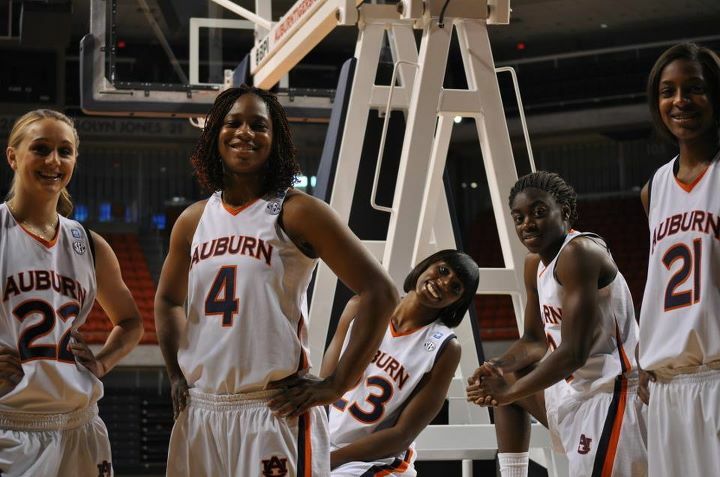 Both junior Jasmine James (Bartlett/Georgia) and freshman Hasina Muhammad (Ridgeway/Auburn) have been receiving some nice publicity leading up to this upcoming season. Jasmine James led Georgia in scoring, assists and steals last season. She has been nominated Sporting News Pre-Season College Women’s Basketball Third Team All American. In June, Peach State Hoops had Jasmine ranked 13 in their Top 25 Class of 2013 College rankings. As a freshman, Hasina Muhammad is learning about basketball on the college level with pre-season training, individual work outs, and of course school work. She has even went through her first year of team pictures. 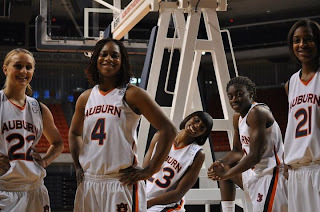 You can check out the video here: http://auburntigers.cstv.com/allaccess/?media=264075 Word is she has been looking good during practices and just may break the starting line up as a freshman. If you know of any Memphis Girls Basketball College players news, please email the information to popo@girlsbasketballtrainer.com. Week 2 of the Fall Exposure League featured a player putting on a show, a shooting fest, and some of the younger players stepping up their game. Dodge City Community College out of Kansas was also in the building to check out the talent. 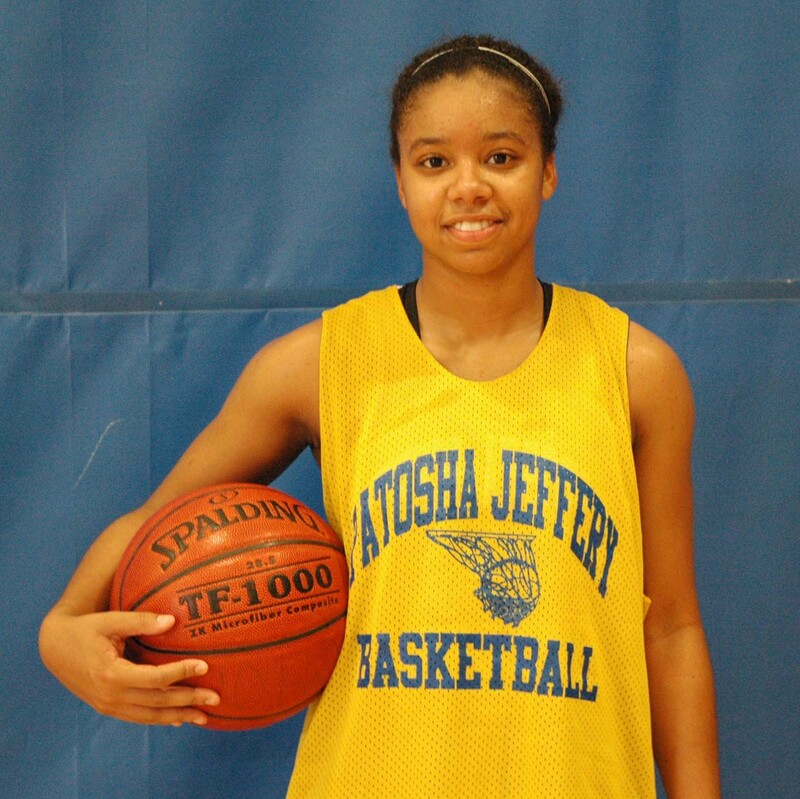 Southaven's junior guard, JoAnna Smith (N.M.B. Hoop Dreams), came today to prove a point. She is not only athletic as displayed last week. She is agressive and powerful. Scoring in a variety of ways: off steals, in transition, behind the 3 point line. She finished with 22 points and 5 steals. She is a very entertaining player to watch. Southaven has so many weapons and will be on my list of teams to watch this season. Nationally-known Victoria Lewis (MHEA/Team Tennessee Glory), freshman guard, put up 23 points from 10 of 15 shooting from the field. This young lady is not only a gifted shooter. She is smart with the ball and will shock opponents with her blocking abilities. Two more freshman to keep an eye on is Emanye Robertson and Breanna Cowans. Freshman combo guard Emanye Robertson (White Station/TEAM TEnnessee Glory) is going to be something special. She has a motor that keeps going. She is great at getting up the floor fast with the ball. She likes to distribute the ball first but can score. Breanna Cowans (Germantown/TEAM Tenness Glory) can shoot the cover off the basketball. Going 3 for 5 behind the 3 point line and 2 for 2 at the free throw line for 13 total points. The sophomores put on a show also. Amber Braxton (Collierville/Lady Bobcats) was a complete surprise for me. She is a 5'10 combo forward. She can play inside and out. She has three point shooting range, ball handling abilities and just has a gift for being in the right place at the right time to score. 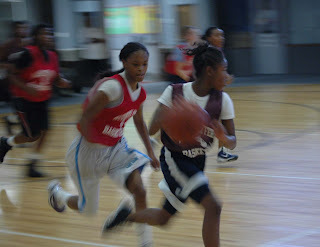 Guard Aysha Harris (Houston/Lady Bobcats) gets into the paint over and over and over again and to the free throw line. She absolutely loves to penetrate into the lanes. She lead her team with 13 points. Post Brittney Becton (Collierville/Lady Bobcats) went up against a senior today and she showed no fear. She battled against one of the most versatile post players in the city, senior Jasmine McAllister (Southwind/Memphis Bobcats -Platinum). Jasmine is a very mobile post. She can face up and shoot and also take a defender off the dribble. Top Basketball Players do not magically show up at the games and dominate. They work on their skills when others are not. Early in the morning. Late at night. Check out Brandon Jennings and Kemba Walker working out. Notice how Brandon and Kemba hit the gym and work on agility and strength before they touched a basketball. I also have an extra video of Jay Williams and other trainers working out a camp of players. Aubrey is in the process of transferring from D1 to D2. She was one of the best shooters in basketball mad Indiana. She was all-state at Oregon-Davis High School and helped the Bobcats claim the Indiana Class 1-A state championship in 2007. Aubrey set a state record for three-pointers and was the school’s all-time leading scorer with 1,606 points. Incapable of burning out on the sport, she grew up shooting 1000 shots every day, doing High School and AAU, and doing personal training. 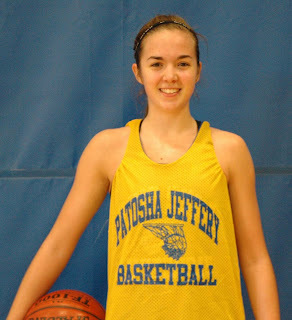 When she got an offer from D1 Murray State she accepted a full athletic scholarship. Aubrey red shirted her first year and played in just five games this past season, scoring one basket. She has decided to transfer to Division Two University of Southern Indiana in Evansville, IN. When an athlete transfers from D1 to a lower level, they can be eligible the next season, so she will have three seasons left. Overton senior, Cornelia Fondren, decided to pick Syracuse over Memphis and Dayton, according to her AAU Head Coach, Thurman Denton, of the Memphis Lady Magic. 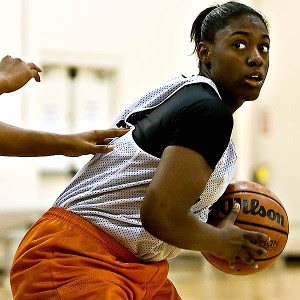 Making the decision last night, the 2012 Hoopgurlz 31st ranked guard had both Memphis and Syracuse coaches in her home last night fighting for her services. "The deciding factor was basically the overall resources Syracuse is putting into their program," said Coach Denton. "Money is being invested into their athletic program and they are moving to the ACC conference." If you have every watched Cornelia play, you know she is a work horse. She is full of energy and plays to the very end. 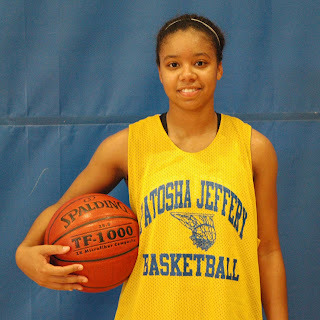 She is a raw lefty combo guard with true upside at the next level. "I think it was a good choice for her overall. I am very proud of her growth as a ball player and person," said Coach Denton. Ramses Lonlack has spent the last three years helping build the University of Memphis women's basketball team into a contender in Conference USA. Now she's on the verge of doing the same for her native Cameroon's national team. The Tigers senior leaves today to rejoin the Cameroon national team as it participates in the Afrobasket Tournament, Sept. 23-Oct. 2 in Mali, where it hopes to qualify for the 2012 Olympic Games in London. "I'm really excited about this," Lonlack said. "It's been three years that Samuel Nduku, the president of the Federation (of Cameroon basketball) has been trying to build Cameroon basketball. This is a great opportunity for us to go and represent our country and to qualify for the Olympics." 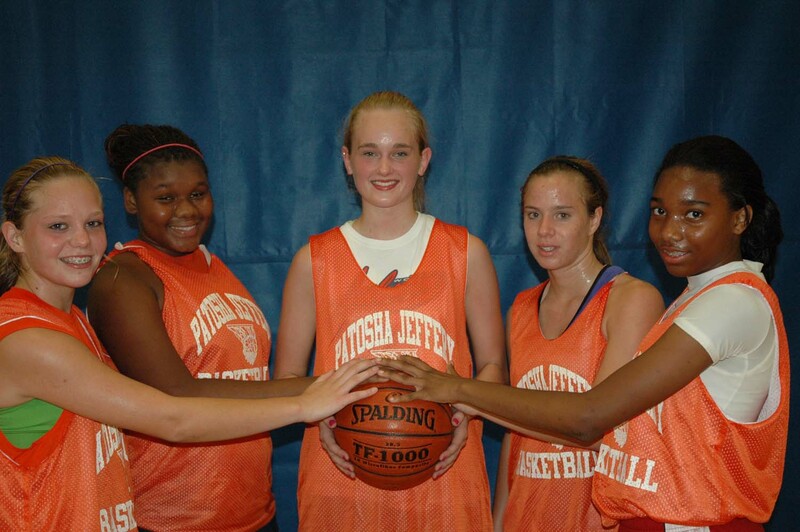 Four members of the Southwest Tennessee Community College women’s 2010-2011 basketball team signed National Letters of Intent to continue their education and basketball careers at four-year universities. Krystal Riley, a 5’4” point guard from West Memphis, Arkansas, has signed with Western Carolina University. As a sophomore, Riley averaged 9.1 points and led the Lady Saluqis with 3.8 assists per game. 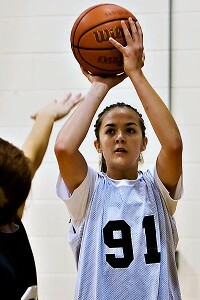 She was also one of the team’s top three point shooters with 40 made. Her freshman year, Riley was named to the All-TCCAA Western Division team. Shantel Crout, a 5’7” guard from Cordova High School, has signed with Virginia State University. As a sophomore, Crout ranked second on the team with 10.5 points per game and 2.4 steals per game. Crout was named to the All-TCCAA Western Division team as a freshman. Keturah Martin, a 5’11” guard from East High School who played for Southwest from 2008-10, has signed with Florida A & M University. Martin averaged 8.2 points per game as a sophomore and led the Lady Saluqis with 3.1 assists per game. In addition, she led the team in assists, steals and free throw percentage as a freshman. JaLessia Davis, a 6’3” center from Ridgecrest, Louisiana, has signed with Southeastern Louisiana University. Davis led the Lady Saluqis with 1.8 blocked shots per game and was the second leading rebounder with 6.2 per game. From average grades to being inducted into Phi Theta Kappa Honor Society for academic success. That is what can happen when an athlete finds the right fit to grow as a student-athlete in College! One of the great rewards with helping families with recruiting education and exposure is when it changes lives. In December of 2008 the South Bend Schools hosted College Recruiting Simplified. Among those attending was the Sanders family, whose daughter Ashlin was a senior at Riley High School. Despite being a four year letter winner in basketball, and on her way to being a 2-time All Conference player, she was not being recruited. She ended up fifth on the school’s all time scoring list with 1091 points and averaged 18 points a game as a senior. She did AAU Ball and everything but the family was frustrated about the whole recruiting thing. The Inaugural Girls Basketball Fall Fest kicked off on Saturday with the Fundamental Intensity Camp. 35 players went through 3 hours of drills focusing on agility, passing, ball handling, and defense. The players also learned several ways to move without the ball as a post and guard. Players in attendance represented schools and areas from all over the mid-south including St. Francis of Assisi School, Tipton Rosemark Academy, Gosnell Junior High (AR), Southaven High, Kirby High, White Station Middle, Mt. Pisgah, Whitehaven High, MHEA, St. Mary's, Woodstock, Cedarville Middle, Germantown High, Brighton High, and Southwind High. This weekend will kick off the Fall Exposure League. The schedule and teams will be announced tomorrow. Spots are still available. Register Here. Labor Day Weekend was a good one for Memphis Girls Basketball. The younger class of players are taking advantage of opportunities and continuing to get early recognition nationally. 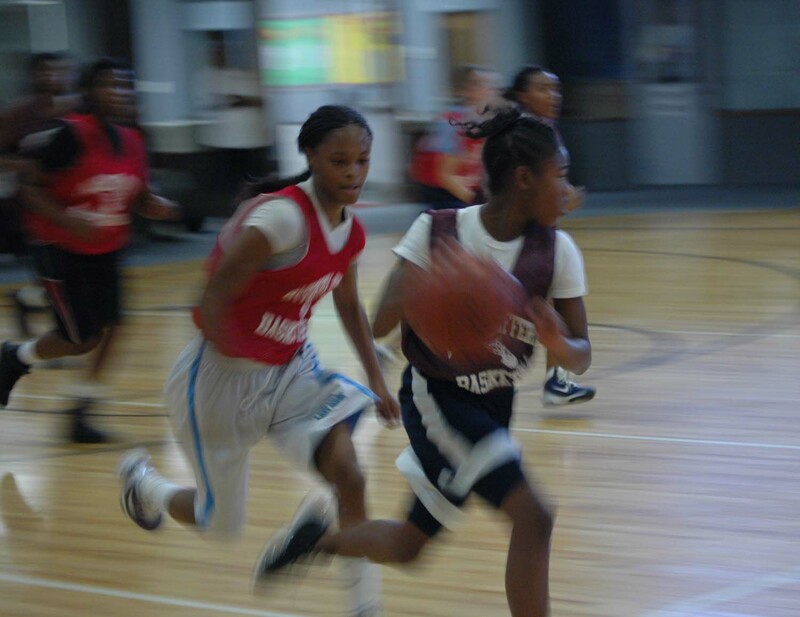 Jasmine Cincore (Briarcrest 2014) and Victoria "Torri" Lewis (MHEA 2015) traveled to Georgia this past weekend to participate in the Elite Basketball Academy camp and left quite an impression. Jasmine Cincore (Arlington, Tenn.), Briarcrest Christian): Having spent her freshman high school season working more as a small forward, it was nice to see the growth and versatility that this 5-9 power player brings to the floor. She's showing the ability to create off the dribble with some impressive side-to-side action and an explosive first step. Her weak hand needs some immediate attention or defenders are going to figure out her limitations and not even have to break a sweat. When she does get an edge on an opponent she utilizes her solid build and strength by actually creating contact herself and keeping them at bay as she penetrates. Finishing among the bigs isn't an issue for her and she gets more than her share of trips to the line. The perimeter stroke is sound but there's a tendency to turn her shoulders that could lead to some consistency issues if not addressed. Cincore is one of those players who has plenty of quickness but may giving up some ground in the speed department. She compensates with physical play and a willingness to mix things up. An important year lies in front of her. Torri Lewis (Olive Branch, Miss. ), MHEA: An instinctual player, this 5-9 guard is going to have plenty of folks keeping an eye on her progress over the next couple of years. Her individual skills are sharp and advanced for her age comfortably warranting the old cliché "she's got game." She can create off the dribble but she keeps defenders guessing if she'll take it all the way to the rim of pull up from full speed and drain the 10-footer. There's some forward body motion in her perimeter shot that will be an issue with better defenders in her face but she was able to connect several times early in the event before leg fatigue set in. Even with the forward action she's still got a quick release that's difficult for opponents to anticipate or contest. She is constantly active and isn't hesitant to get on the floor or crash the offensive glass. Defensively she's aggressive on the ball and occasionally finds herself out of position from overplaying but hustles to recover. Lewis is following in the home-school footsteps as Moriah Jefferson and Taber Spani. The Fundamental Intensity Camp will be held this Saturday, September 10 at Ridgeway Baptist Church at 10am. In this 3 hour camp, players will learn and pick up agility, speed, shooting, ball handing, defensive, positional skills and much more. The environment will be fun and intense. Instruction will be lead by Patosha Jeffery, former University of Memphis Lady Tiger and current Hutchison coach.